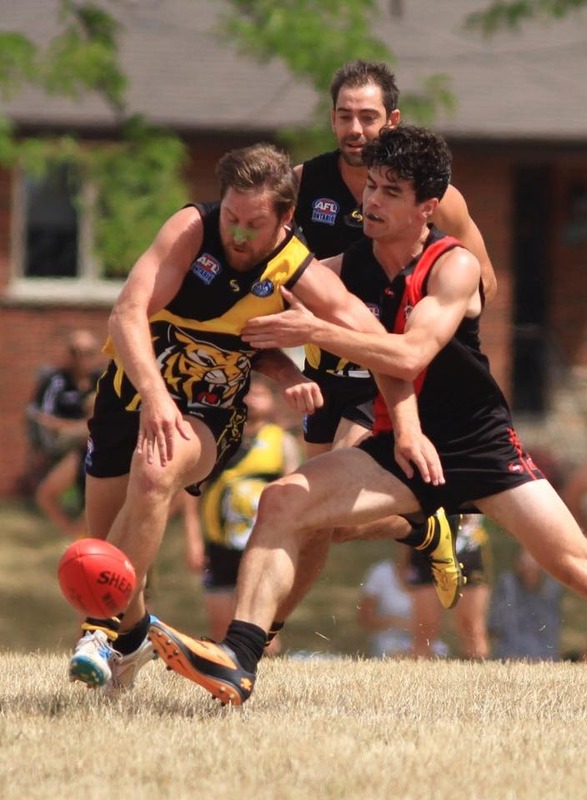 The Toronto Dingos headed to Hamilton this past weekend, looking to make it 3 in a row and solidfy their spot in the top 5 as the September Finals season looms. Unfortunately, there just weren't enough cars making the drive this past Saturday, as only a 13-man squad was able to don the Red and Black and do battle on yet another scorching hot Saturday. With due credit to the Hamilton Wildcats, who matched the Dingos at 13, for three and a half quarters the game was wide open, with plenty of run for both squads and quick, often lethal turnovers leading to a full on sprint the other way. A strong 2nd by the Cats was answered by a 5-goal effort by the Dingos in the 3rd, but the last 10 minutes of the 4th proved the death knell for the Red and Black, as the legs failed and the Cats surged to victory. The midfield was dominant throughout the game for the Dingos, led by Justin Davis, Steven Speers and Michael Ladd, while the veteran savvy of Geoff Hansen and Mike Karas in the mid and backline, respectively, were crucial in lifting the Dingos. Once again the Captain Rob McNaughton led the charge in goals, as he worked hard through double-teams to make good on the Dingos' forward delivery. With just three matches left in the 2016 regular season, the Dingos will look to get back in the win column as they square off against longtime rivals the Toronto Eagles next Saturday.